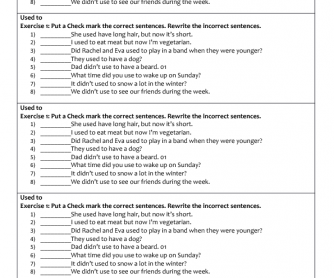 The following exercise contains different correct and incorrect sentences. 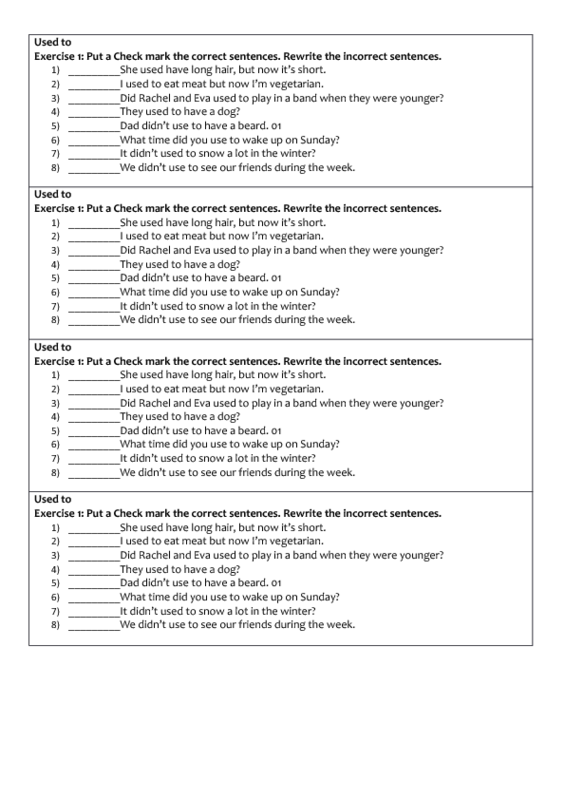 Students will check the correct sentences and change the incorrect ones. The grammar topic for this activity is used to. You can find used to in affirmative, negative, and question form.